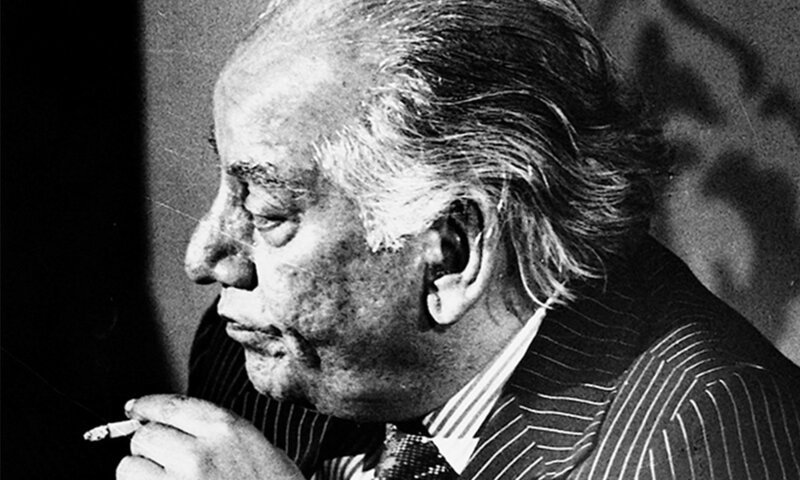 It needs to be acknowledged at the outset that Faiz Ahmed Faiz has had a monumental influence on the literary and cultural life of Pakistan. He is arguably the best known, the most venerated poet to have come from the Indo-Pakistan subcontinent over the last 70 years. Not only that, his work has received considerable circulation, recognition and acclaim across the globe, initially in the ‘non-aligned countries’ – though they were all linked, either loosely or closely, to the former Soviet Union – but in time across many countries of the Western world as well. 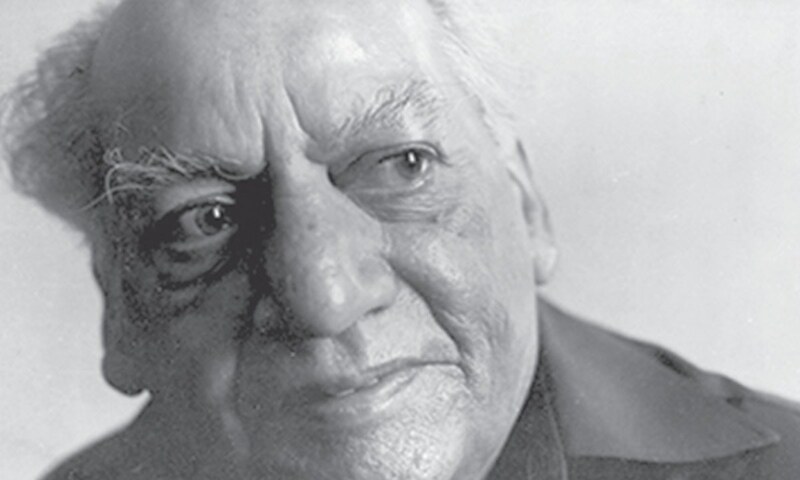 Faiz lived in an era that was more trusting and innocent, when it was still possible to believe that a humane system of social well-being and economic justice, of mutual tolerance and personal freedom, was possible through a people’s revolution or through an enlightened seeding of political and social awareness. But capitalism and communism, not to forget socialism and enlightened authoritarianism, have all failed to offer the panacea they promised. Each has demonstrated that it could be brutal and exploitative in its own way. Each operates by exercising the will of the state through its agencies of power and punishment. Each regulates the processes of thinking, the domain of the permissible and the non-permissible, in its own way. And none of these secular systems has been able to overcome racial, religious or gender prejudice and bias or the drives and appetites of tribalism. Race, class, gender, ethnicity, beliefs and ideologies remain fraught categories in all dispensations and political systems. Religions and theocracies offer no relief either, each attached fiercely to its own exclusivist idea of truth and salvation, each showing the most casual contempt for the other and an alarming readiness to disparage, condemn and destroy anyone who belongs to a different faith or does not practice in the “approved” manner. Perhaps there is an inherent flaw in all systems that aspire to a totalising global reach. Against this background, the optimism of Faiz’s poetry comes across as somewhat unrealistic, perhaps even naïve, though it may give a momentary rush of hope to a large number of people as well. The revolution is messy business. Struggle against poverty, ignorance, viciousness, intolerance and discrimination is uncertain, nasty and scruffy too. But Faiz appears to romanticise it in his poetry. It is appealing to read about it as such. But life is brutish and brutal in its inequities and injustices. Violence against the human body, dismemberment, disfiguration, searing and scorching of human skin and flesh, uprooting of families, displacement and homelessness, a state of perpetual siege, bomb blasts, suicide attacks, droves of refugees with nowhere to go, a state of unending abandonment — these are some of the gifts of our global civilisation. What is a poet to do? Readers today, perhaps, have become a bit more conscious about the sexism involved in perceiving the land – or revolution itself – in feminine terms. It is a mode of seeing associated with manipulation, abuse, possession and control of the female body. But in Faiz, this trope is central to his poetry. The homeland, its people, and the social and political revolution envisaged and awaited are all spoken of in the image of the female beloved. Faiz uses all the conventions of Persian and Indo-Persian love poetry but invests them with political connotations and undertones. In a way, he rejuvenates tired old classical images once again to have meaning and relevance in the contemporary and modern environment of the 20th century and it is a breathtakingly luminous phenomenon. But in a world that is swiftly evolving to newer and more sensitised, more consciously non-discriminatory modes of expression and lyricism generated by reconfigured perspectives of society, state, gender, individual volition and beliefs, it is also perhaps the last flowering of a tradition, unusual and unexpected in its resurrection though it is, that has had its day. After Faiz, there can only be imitation or parody of that tradition. He is the last in the line of the great classicists because even as he mastered and adhered to that tradition in his work, views and notions about conventional images and traditional metaphors were undergoing a perceptual and philosophical change and ideas about language, its character, nature, and form were questioning old literary verities and shibboleths. One of Faiz’s acknowledged masters, Iqbal, had already transformed the idiom of Urdu poetry by breaking away from the precious and ornate diction of earlier poets and opting for a more direct and colloquial expression on the one hand and elevating it with new images and ideas from modern philosophy and science on the other. Some of Faiz’s contemporaries – Noon Meem Rashid, Miraji, Sahir Ludhianvi and Majeed Amjad – had also broken away from traditional rhythmic structures, imagery and themes, forging distinct voices of their own in language that was closer to the commonly spoken idiom than to the classical tradition of Urdu and/or Persian poetry. Later, female, and feminist, poets like Kishwar Naheed, Fahmida Riaz, Shabnam Shakeel, Parveen Shakir, Yasmeen Hameed and others would bring in perspectives that were long missing or deliberately excluded from the classical tradition, loosen up the idiom and introduce new, freer and organic poetic forms. I am merely sketching the complexity of metamorphic forces at work during Faiz’s lifetime to contextualise both his achievement and shortcomings. But the subject deserves an extended study and examination and that is beyond the scope of this article. Born to a privileged family in Kala Qader village in Sialkot district in 1911, Faiz had a rather charmed and fortunate life when looked at in totality. Of course there were difficult times. He talks about sleeping on an empty stomach on several occasions while studying for his bachelor’s but that was right after his father died in 1931, an event that, in his words, “turned the family from ‘rais’ to paupers”. But this state could not have lasted too long for it was in 1931 also that he completed his Bachelor of Arts from Government College, Lahore. The year after he obtained his Master of Arts in English from the same college. 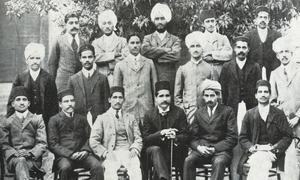 By 1934, he had also acquired a master’s in Arabic from Oriental College, Lahore. The next seven years were spent teaching English, first at MAO College, Amritsar, and then at Hailey College of Commerce, Lahore. He also started a branch of the Progressive Writers’ Movement in Punjab in 1936 and married Alys in 1941. In 1942, he enlisted in the British Army, starting as a captain in the Inter-Services Public Relations department in New Delhi. He was swiftly promoted to major the next year and in 1944 to the rank of lieutenant colonel. The promotions seem unusually quick but the nature of his work and achievements that earned him these quick promotions need still to be diligently researched and reliably documented. If fighting against Hitler’s fascism was the motivating factor behind his decision to join the army, as Faiz himself says, and, if he considered fascism a “form of capitalist oppression in which the aggressor took over the lands, resources and people of another region and used them for its own benefit, frequently denying the subjugated people even the right to live their lives their own way”, why don’t we hear a word of criticism from him about Stalinist communism, for one, which was repressive and brutal in the extreme and controlled the regions that formed the Soviet Socialist Republic, or its satellite states in Eastern Europe, in much the same autocratic and authoritarian manner as did any fascist or imperialist regime? Did he, one wonders, consider the killing and incarceration of several million people suspected as “dissidents” in the Soviet Union as fair and necessary collateral damage in the cause of the Communist Revolution? No elegies for them like the stirring “Hum jo tareek rahon maen maaray gaeay (We, who lost our lives on the dark pathways)” he wrote a few years later for the Rosenbergs who were executed in the United States. For his services to the British Crown, Faiz was awarded the Member of the Order of the British Empire in 1946. 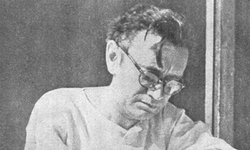 He was serving as chief advisor of the Inter-Services Moral Directorate when he resigned in early 1947 to take up the position of the editor of a bunch of publications owned by Mian Iftikharuddin’s Progressive Papers Limited, including the English and Urdu dailies Pakistan Times and Imroze and the weekly Lail-o-Nahar. It was during this time that Faiz became closely involved with Pakistan Trade Union Federation and the Railway Workers’ Union. Up to this stage of his career, Faiz’s life appears to have been particularly auspicious, with no real issues or difficulties. But this was about to take a turn for the worse. The new phase brought arrest and incarceration on charges of sedition in the infamous Rawalpindi Conspiracy Case in which he, as representative of the Communist Party of Pakistan, was accused of conspiring with army generals to overthrow the government of the country. Arrested in 1951, Faiz spent the next four years in jail. This misfortune, though, brought him not shame or disgrace but fame and prestige. His reputation as a revolutionary poet and spokesperson for the deprived and the dispossessed was not just secured but greatly enhanced. His collection of poetry, Dast-e-Saba, was published in 1953 while he was still in jail and another, Zindan Nama, a year after his release in 1956. Ironically, though, this phase also marked the end of Faiz’s involvement with political activism within Pakistan. Thereafter, he was engaged more in treading a safe path, concentrating on his writing and enjoying the recognition that his poetry and time in jail had brought him. 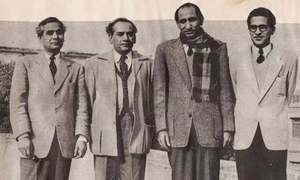 Faiz now linked himself with the Third World front and enlarged his international connections by participating first in the Asian Writers’ Conference in Delhi in 1956 and then in the Afro-Asian Writers’ Conference in Tashkent in 1958. He was still in Tashkent when he heard news of Ayub Khan’s coup d’etat. 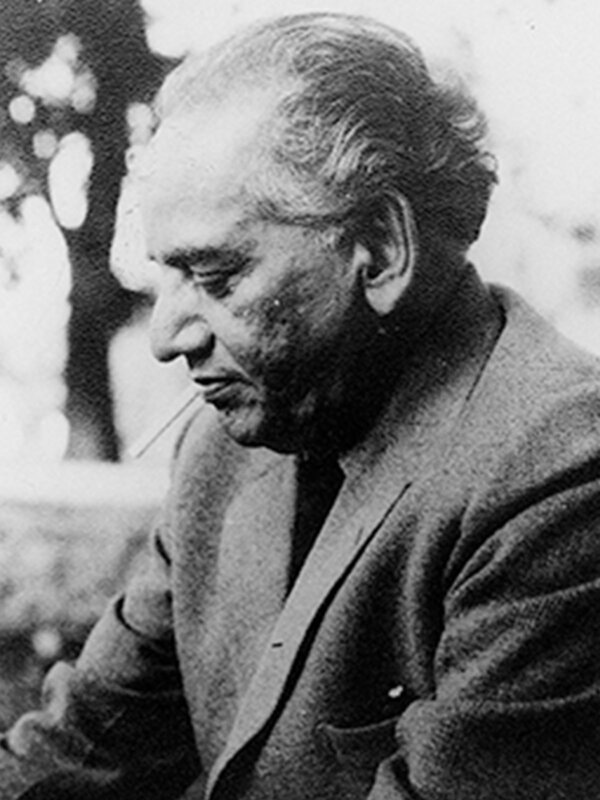 Though initially imprisoned briefly a few days after his return, Faiz was soon released and appointed secretary of the arts council in Lahore, a position he held till 1962. It was in this year that he received perhaps the biggest award of his career, the Lenin Peace Prize, the Soviet counterpart to the Nobel, and just as politically driven. But he now stood in the company of such distinguished luminaries as Pablo Neruda, Bertolt Brecht, W E B Du Bois, Pablo Picasso, Mahmoud Darwish and Angela Davis. In 1972, Faiz was appointed chairman of the Pakistan National Council of the Arts (PNCA) and over the next five years supported many creative projects in the fields of art, music, dance, film, folklore and literature. The PNCA itself was his brainchild and emerged out of the famous “Faiz Report” he had prepared as secretary of the Pakistan Arts Council during Ayub Khan’s rule. The PNCA was given its final shape under Zulfikar Ali Bhutto who replaced Yahya Khan after the fall of Dhaka in December 1971. Out of the various PNCA directorates that were set up, emerged two separate organisations vital to promoting the cultural life of the country, Lok Virsa and Pakistan Academy of Letters. Both are still very much active. The year 1976 brought Faiz the Afro-Asian Lotus Prize for Literature and reinforced his status as a writer of global repute and stature. But circumstances in his own country were taking a turn for the worse again. Ziaul Haq’s military coup of 1977 was the most vicious and culturally insensitive development that Pakistan had so far seen. It turned the direction of the country towards religious extremism. Faiz felt he had no place in such a world. He went to Beirut, itself torn and ravaged by war, and assumed the responsibility of editing Lotus, the magazine of the Afro-Asian Writers’ Association. It would be five years before he would return to Pakistan but, importantly, he published two more collections of poetry, Sham-e-Shehr-e-Yaraan and Mere Dil, Mere Musafir, during this period. When Israel’s invasion of Lebanon in 1982 forced his return to Pakistan, Zia was still in power. Faiz was banned from appearing on radio or television. Despite this, his collected works were released as Nuskha-hai-Wafa in March 1984. Before the end of that year Faiz would be dead. The fever and fret of his life would be over. He would see nothing of the worst effects of Zia’s rule, the travails and anxieties of his life being relatively mild compared to the national horrors that were yet to come. In the final analysis, the importance and influence of Faiz on the intellectual and political life of Pakistani society cannot be over-emphasised. He has become an integral part of the country’s cultural history and heritage. He is quoted and mentioned in daily discourse more than any other writer today. His poems and ghazals enjoy wide popularity and admiration across barriers of class, ethnicity, gender and religion. Once severely castigated and criticised as an atheist and a communist, a lot more listeners and readers of his work realise today how deeply he was steeped in the spiritual tradition of Islamic values and how effortlessly he draws from them in his poetry. That he had memorised almost half the Quran before the age of 10 is perhaps not as widely known, nor that he learned about Islam, Hadith and fiqh from two of the most accomplished religious scholars of his time, Maulvi Ibrahim Sialkoti and Shamsul Ulema Syed Mir Hasan, the latter also being Iqbal’s teacher and mentor. Still there would be many detractors unhappy with what they consider his unorthodox views. Faiz, however, subscribes to the Sufi tradition of Quranic understanding rather than the mullah’s minatory injunctions. His perception of Pakistan’s cultural identity is also in line with the Sufi tradition: “Essentially our tradition comprises two broad strands,” he says, “one, the folk tradition of Punjabi, Sindhi, Balochi and Pashto folk culture; second, our classical tradition of Urdu, Persian and Arabic. Unless one combines the two strands into a harmonious whole, one cannot draw honestly on tradition to develop a true cultural identity.” This perhaps optimistically ignores the independent importance and distinctiveness of each of the regional languages and the deep attachment of the people to their mother tongue. At the same time, the world we live in today is not only continually and rapidly evolving but also far more overtly globalised than it ever was. Ideas about culture and language are, therefore, constantly under review and revision. Interestingly, Faiz misses out on English as another language indigenised in our part of the world, just as he ignores that Persian and Arabic are not native to this region. Still, it is difficult to deny that each people have a right to transact their affairs in their own language. To refuse them this right is to silence them and erase their history and identity. This is not an issue to be settled by cultural or social engineering but one that is subject to an ongoing process of self-examination in the cause of self-actualisation in which every healthy society engages and on the basis of which it must negotiate with the technologies and forces of the modern world. The cautionary suggestion of Pakistan’s evolutionary history is simply that Faiz’s writings should not come to be seen as holy relics or revelatory texts that are beyond scrutiny or criticism, while he, himself, is elevated to the status of immaculate spirituality and sainthood. This article was originally published in the Herald's August 2017 issue. To read more subscribe to the Herald in print. The writer is a Professor of English and Postcolonial Studies at Agnes Scott College, where he also teaches courses in creative writing. Why was Manto considered a threat to the progressives? The lost verse: Why is Iqbal going out of fashion?